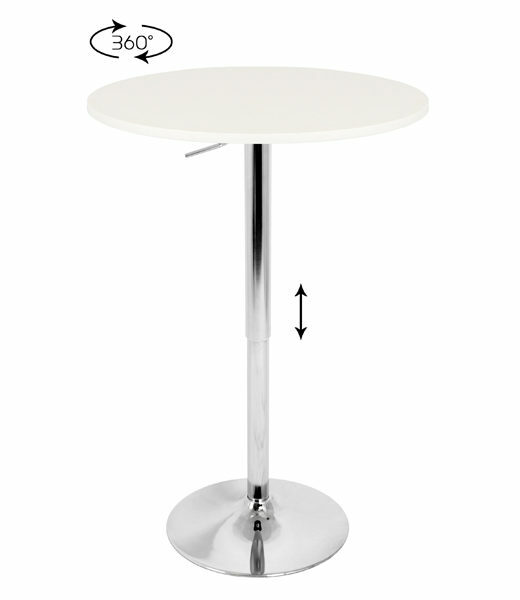 Adjustable Bar Table w/ White Top Product Size: 23.5 D” x 26″ H (Extended 41″ H) Product Weight: 25 lbs. 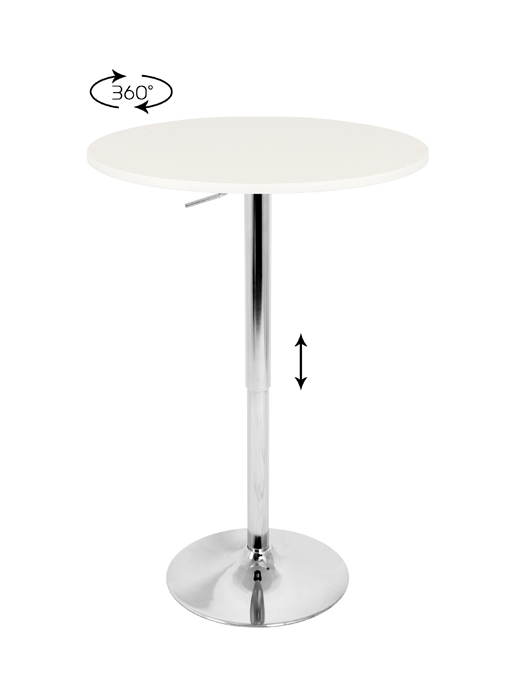 Adjustable Bar Table w/ White Top Product Size: 23.5 D” x 26″ H (Extended 41″ H) Product Weight: 25 lbs. More Information The Adjustable Bar Table is versatile for many uses. From a range of 26″ to 41″ height, it can be used as an intimate table for two or a party bar table that even spins! Comes with a white wood top measuring 23.5″ diameter and polished chrome pole and base.